We've been on pins and needles waiting for a potential announcement about whether we might finally see Red Dead Redemption 2 on PC or not. Finally, there's a light at the end of the tunnel, though it didn't come in the form of an official announcement or anything even remotely resembling it. Instead, we got a leak via LinkedIn from a developer who accidentally let the news slip. 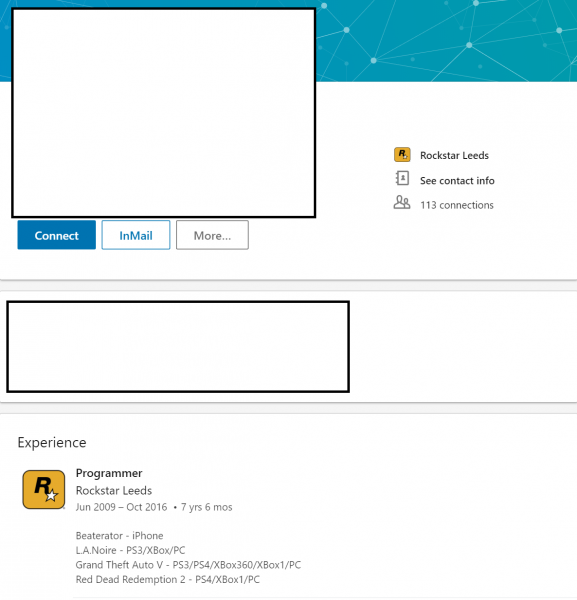 The posting was found and posted via TGFG, a Rockstar community that posts various Easter Eggs and hunts for them in Grand Theft Auto V. A random developer listed Red Dead Redemption 2 as a project they worked on before, with platforms listed as PlayStation 4, Xbox One, and PC. The listing has since been taken down, but luckily the internet never forgets, and there are screens to verify it. Of course, this listing doesn't mean anything is actually to be taken as concrete fact. Folks mess up things like this all the time, and it's possible this developer could have messed up and written down the wrong platforms. Or, it's possible that the game is definitely coming to PC, and this is the first glimpse at anything resembling an official statement. We'll have to wait and see what Rockstar Games eventually has to say. Hopefully it'll be somewhat close to console launch. I'm going to quote someone here. Awwwwwwwwww yeah!!!! !